Widor was born in Lyon, to a family of organ builders, and initially studied music there with his father, François-Charles Widor, titular organist of Saint-François-de-Sales from 1838 to 1889. The French organ builder Aristide Cavaillé-Coll, reviver of the art of organ building, was a friend of the Widor family; he arranged for the talented young organist to study in Brussels in 1863 with Jacques-Nicolas Lemmens for organ technique and with the elderly François-Joseph Fétis, director of the Brussels Conservatoire, for composition. 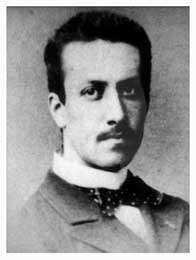 After this term of study Widor moved to Paris, where he would make his home for the rest of his life. At the age of 24 he was appointed assistant to Camille Saint-Saëns at Église de la Madeleine. In January 1870, with the combined lobbying of Cavaillé-Coll, Saint-Saëns, and Charles Gounod, the 25-year-old Widor was appointed as "provisional" organist of Saint-Sulpice in Paris, the most prominent position for a French organist. The organ at St-Sulpice was Cavaillé-Coll's masterwork; the instrument's spectacular capabilities proved an inspiration to Widor. Despite his job's ostensibly "provisional" nature, Widor remained as organist at St-Sulpice for nearly 64 years, until the end of 1933. He was succeeded in 1934 by his former student and assistant, Marcel Dupré. Well known as a man of great culture and learning, Widor was made a chevalier of the Légion d'Honneur in 1892, named to the Institut de France in 1910, and was elected "Secrétaire perpetuel" (permanent secretary) of the Académie des Beaux-Arts on 18 July 1914, succeeding Henry Roujon. ↑ Clericetti, Giuseppe (2010). Charles-Marie Widor . La Francia organistica tra Otto e Novecento (in Italian). Varese : Zecchini. ISBN 978-88-6540-006-7. 1 2 Near, John Richard (1985). The Life and Work of Charles-Marie Widor. Boston University. OCLC:15132821. ↑ The concerto was edited by conductor Martin Yates, and its premiere recording was made by Sergey Levitin and the Royal Scottish National Orchestra in 2015. Charles-Marie Widor, Volume 3: Violin Concerto and Symphony No.1 Archived April 26, 2015, at the Wayback Machine.